The posts and pins might come from newlyweds gallivanting around Greece on their honeymoon, that kid next door who took a year off college to travel the world with a rucksack, or some travel blogger trying to convince you that Santorini is the most magical place on the planet. But, whatever their content or source, these photos are really just meant to do one thing: make you insanely jealous that you aren’t in Santorini right now. 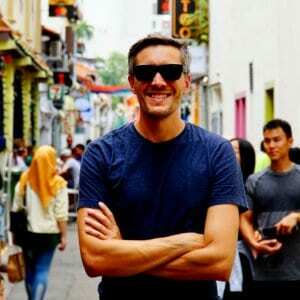 I just finished a trip to Santorini and, as someone who travels the world full time, I can tell you that Santorini is one of the most overpriced, overcrowded, and overrated travel destinations on the planet. 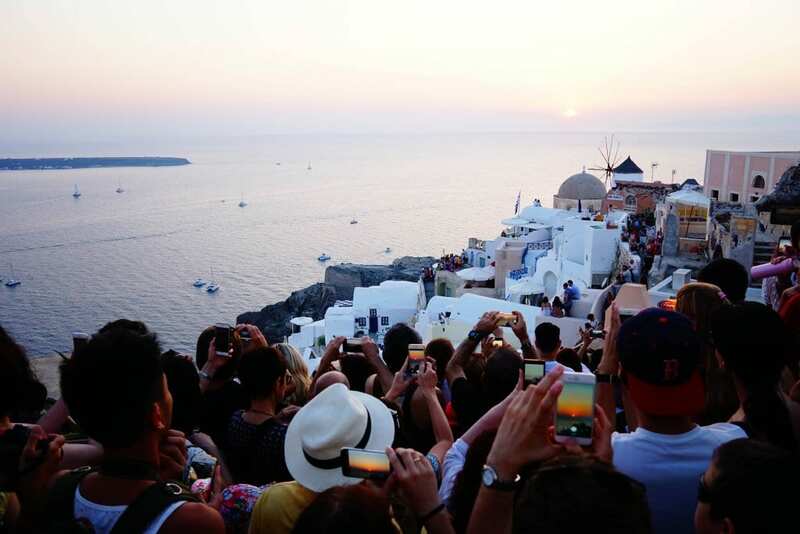 Santorini is famous its Instagram spots — especially at sunset. In fact, the most liked photo on my Instagram account is from Santorini. The simple truth is that Santorini is social media gold – guaranteed to up your like count. But do you want to know what’s really going on behind the cameras over on Santorini? And you know what is really crazy about that picture? That is one of the LESS BUSY sunset viewpoints on Santorini. I couldn’t even make it to the more popular photo spots until much later because people were jammed in like sardines. I wish I could say that Oia, the iconic white village on the island, is only crowded for sunset. But, at least during the summer, it is mobbed at all hours by cruise ship excursions, European glitterati, and Chinese tour buses. 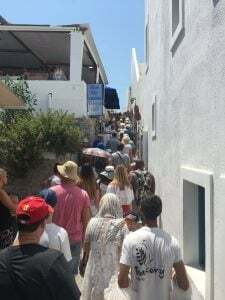 The narrow walkways get so crowded that at times getting around can make you feel like you’ve been conscripted into a sweaty mosh pit of humanity gyrating to Santorini’s siren song. And for some reason, Santorini seems to bring out the worst impulses of its visitors. Everyone there is aware that Santorini pictures are guaranteed to perform on Instagram, so they’ll do just about anything to snap that jealousy-inducing pic. 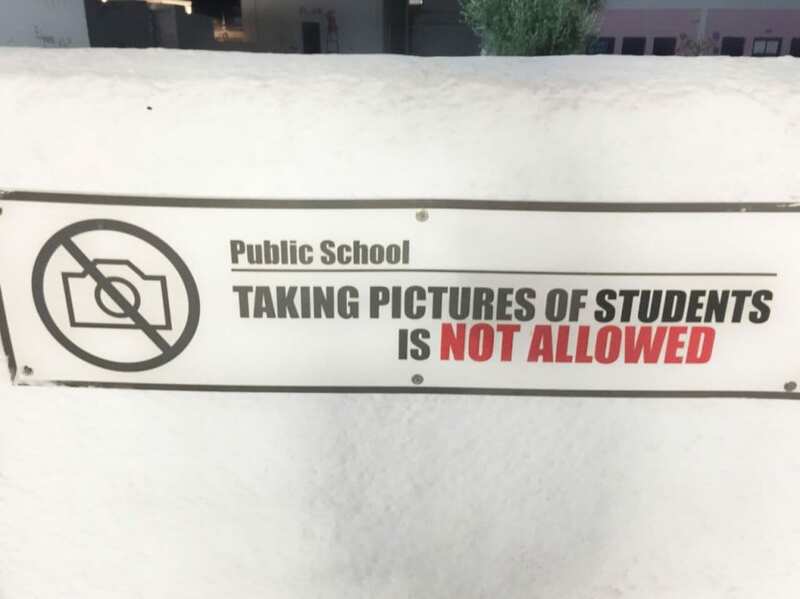 The local school had to post this! Oh, and even forgetting the crowds, Santorini’s outrageous price tags are reason enough to give it a pass. This is definitely not a place for people looking to travel the world cheaply. 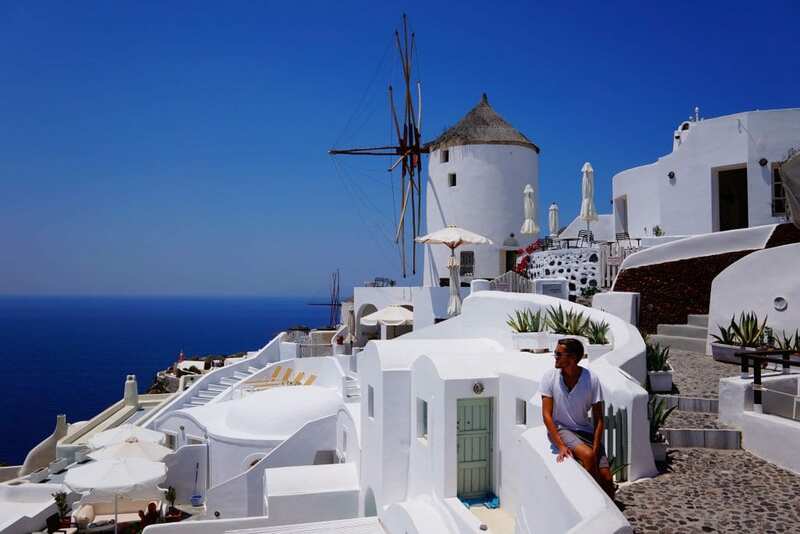 Thanks to the influx of oil magnets mooring their yachts below the cliffs, one of those iconic cave houses in Oia — almost all of which are now converted tourist rentals — will run you over 500 euros per night. At one of Santorini’s many made-for-tourists restaurants, you can easily drop 50-100 euros on a Greek dinner that is about as authentic as Donald Trump’s tan. While social media might have you think that Santorini is the only Greek game in town, in fact there are dozens of other photogenic islands worth the time and money you’ll save by skipping Santorini. Many of these are just as beautiful but far more authentic and affordable. 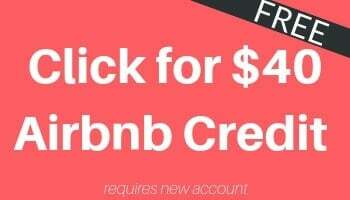 For example, in nearby Ios and Paxos, you can rent a white house overlooking a stunning seascape for a fraction of the cost you’d pay in Santorini. And on forgotten but charming Andros, you may be the only visitor in town. Bottom line: if you want to know how to travel cheap in Europe, the answer is simple: skip Santorini! In short, Santorini is to the Greek islands what Chobani is to Greek yogurt — superficially appealing, mass marketed, but entirely less satisfying than the real thing. I’m sure I’ll catch some grief from Santorini defenders eager to protect the integrity of the many Instagram likes they so carefully curated on their overpriced Greek adventure. So let me concede a few caveats to the above. First, I visited in June. Perhaps the island is more enjoyable in the less crowded months (though June itself is actually still shoulder season!) and so perhaps I missed the best time to visit this part of Europe. Second, most of my criticisms are targeted at Oia because that’s the iconic social media shot that is subject of this article. Santorini itself is a big island and there are quieter locations to be found further afield, sure. And, lastly, I’ll grant that Santorini is a beautiful island with some cool cliffs and decently blue water. But guess what? There are a lot of other gorgeous places on this planet. To me, Santorini’s not THAT special. Sorry, not sorry. Bottom line: while different people experience places differently and plenty of people do seem to really enjoy Santorini, it really didn’t fit well with me and I’ve heard from many others that I’m not alone. So for those of you who are sitting at home filling with envy over those beautiful Santorini pics on social media, relax. Trust me, you can die content without ever setting foot on Santorini. The truth is that Santorini, for all its beauty, is overpriced, overcrowded, and overrated. What do you think? Am I missing something? Tell me your thoughts in the comments! 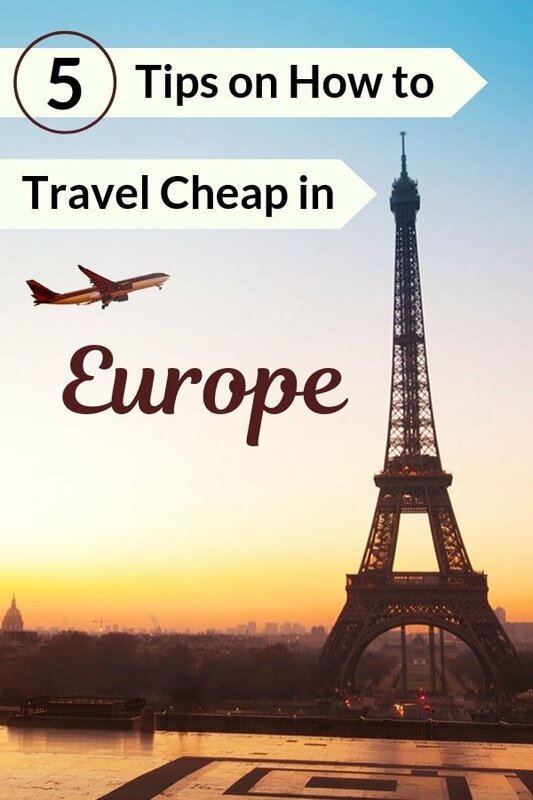 And download a free Lonely Planet Guidebook to Greece using this trick! Plus, learn what to pack for your trip around the world. Previous Post What to Do in Abkhazia Next Post Ukraine Travel Safety: Are Kiev and Lviv Safe? haha good to know. As someone who’s never been, based on the pictures and what I’ve heard, it’s easy on my bucket list. But it’s good to know that there are alternatives. Is Ios and Paxos easy to get to? While you might have to fly into the Santorini airport (though you can also go via Athens or Mykonos), the ferries in Greece are pretty solid and it’s easy to use them to island. The one hang up I found is that they are much pricier than you would think. The 90 minute ride from Santorini to Ios ran me 50 euros, which seemed on the heavy side. I was thinking about traveling there… well, not anymore, hahaha! I prefer the Island Thasos. Much less crowded and surely very beautiful! I definitely would love to check out Thasos – and a bunch of the other islands – someday! I had exactly the same experience and opinion on Santorini the first two times I’ve visited. But then I went in February and it was amazing. Very quiet and beautiful. So if you ever pass through this parts of Europe again in the winter definitely give it another try. You may be pleasantly surprised! Thanks Helena! Maybe it’s just an entirely different experience in the off-season. Anyway, really glad you enjoyed your visit! Santorini looks like it is horrific in Summer – crowds like that would definitely have tainted our view. However, like the previous comment by Helena, we went in winter. We stayed for a week in early December and it was beautiful. In fact on the morning we visited Oia we were virtually alone … apart from a few villagers and the miles carrying their loads. We had a great bargain on our hotel and cheap car hire. 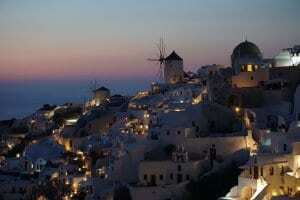 So I would say that Santorini is definitely a must do in the winter! Glad to hear the experience is different in the off-season! I agree. Visited in May, still lots of tourists. Just so over rated. Photograph sunrises. No tourists then! I was all alone every morning. And go there other times of the year and enjoy it – I do! I 100% agree. The public transportation there is the worst I’ve experienced. Yeah, it is surprisingly hard to get around as well! Thank you for this article. I wish there were more blogs that told the truth in this way. It’s funny but I’m a little relieved. I booked a Greek trip through a website and it doesn’t include Santorini, Mykonos, or Crete. I was feeling a little FOMO on missing out on Santorini (even though the places I’m going look stunning). One of the reasons I didn’t book Santorini was initially the crowds. You’ll still love Greece! There are tons of gorgeous islands!! This is hilarious. Is it seriously packed like this all the time I guess demand is high. Being this over crowded it brings down my potential enjoyment factor because of the crammed feeling of packed tourists although beautiful scenery nonetheless. Really thinking of beautiful natural spacious green Kefalonia. Many beaches and viewpoints and close excursion to Zakynthos Shipwreck beach. Also explore the west around the bats to Xi and Petani and the west by Paliostafida Makris Gialos, the north west by Myrtos, and north of Kefalonia by Fiskardo and you have very very complete experience and itinerary in my analysis whether it’s honeymoon or vacation for family or couples. Maybe stay in the nicer hotel for 7-8 nights then switch to the other one fur next week.